Yesterday, after I parked my car and was about to walk to work, I realized I had two hours before I had any appointments. 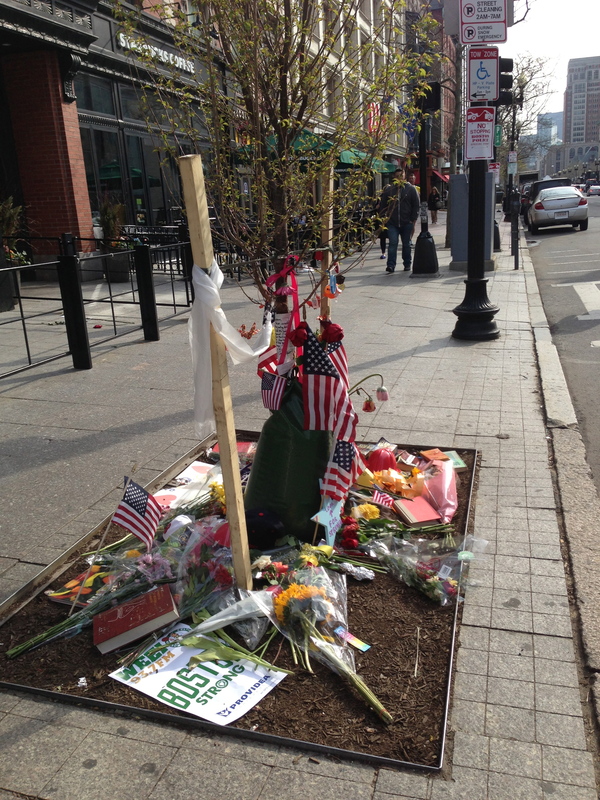 Because my parking garage was close enough, I spontaneously decided to walk, in the opposite direction, down Boylston Street in Boston, towards the location of the Marathon bombings. 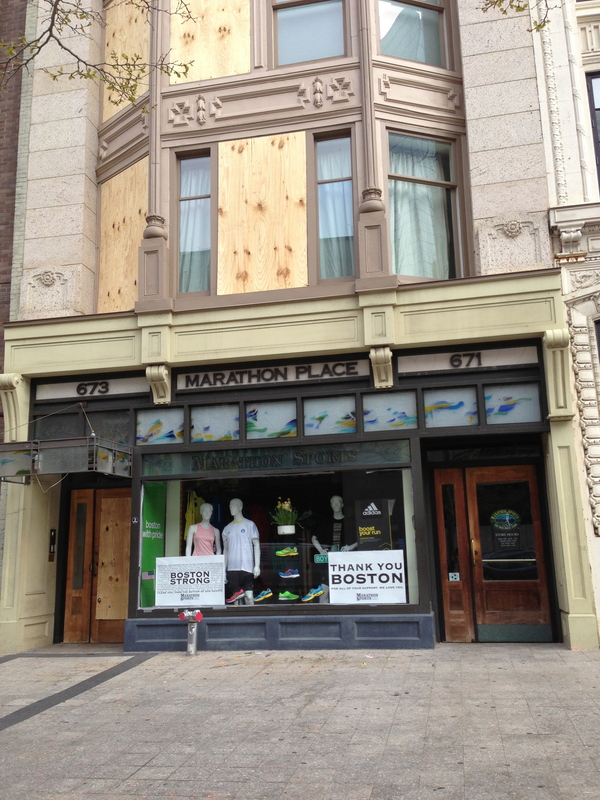 Two days before, Boylston Street was re-opened to traffic and to business. And as was reported, many people showed up that day, to walk down the street. I felt ready enough, yesterday morning, to go there (perhaps partly because of the blog post I had just written). 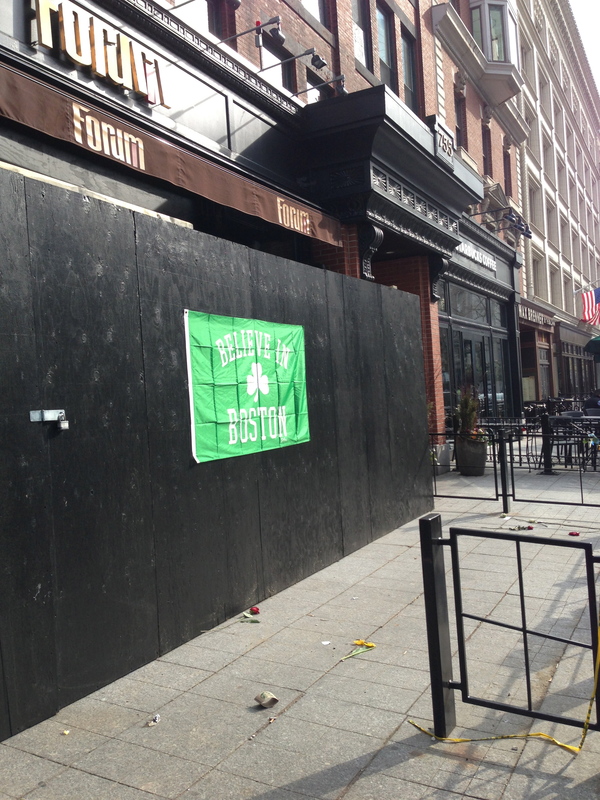 The rest of this post is going to be a photo essay, as I show you that walk I took yesterday morning down Boylston Street, through the familiar, through my fears and sadness about how the familiar had changed, and back again. I am probably going to write more about the familiar, and less about the unfamiliar. The above is the first photo I took yesterday morning. 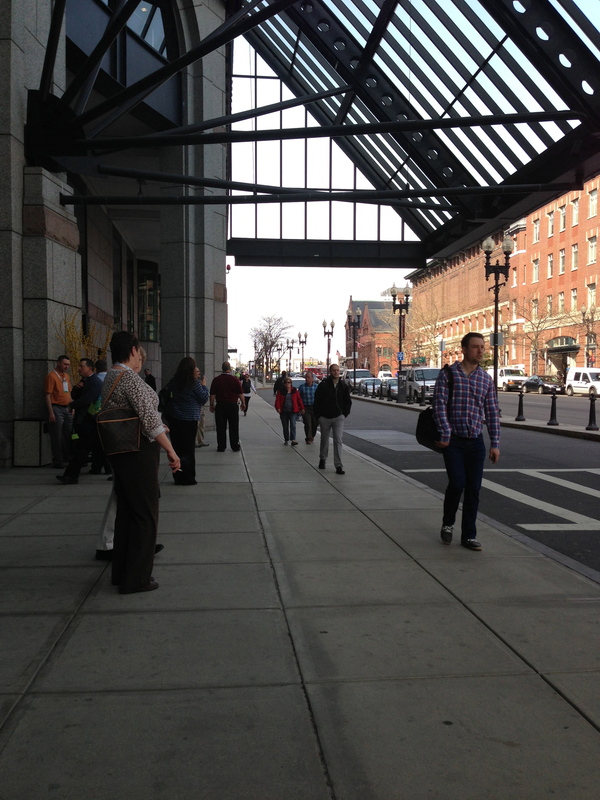 I’m walking down Ipswich Street, approaching Boylston Street. The streets that intersect Boylston are alphabetical, going from Arlington to Ipswich. So, according to my calculations, I am now about 4.5 blocks away from the finish Line of the Marathon (which is located between Dartmouth and Exeter Street). 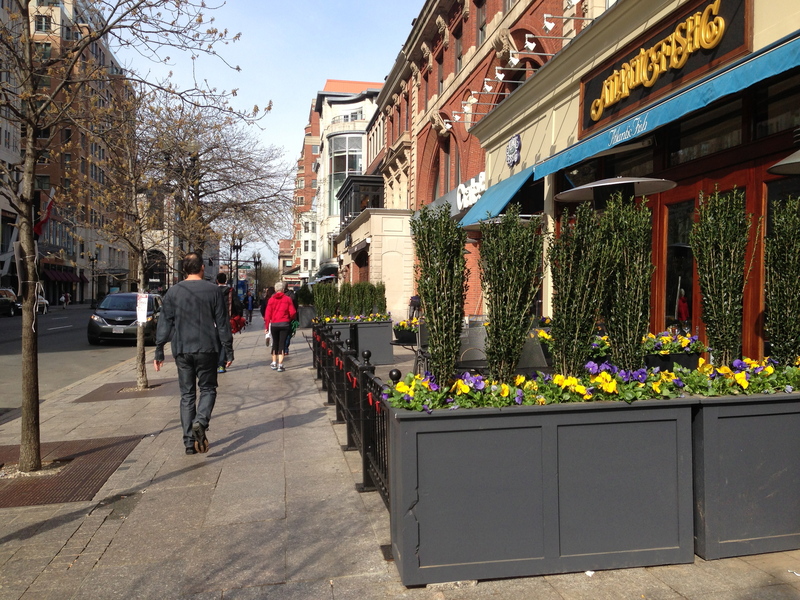 This was the second photo I took, and it was the first location I captured on Boylston Street, itself. 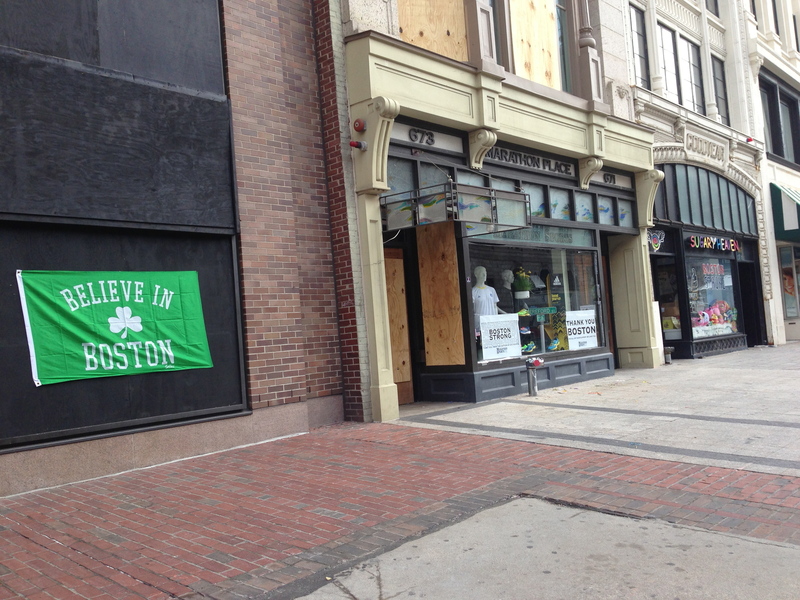 This is near the corner of Ipswich and Boylston, very close to that first picture, above. 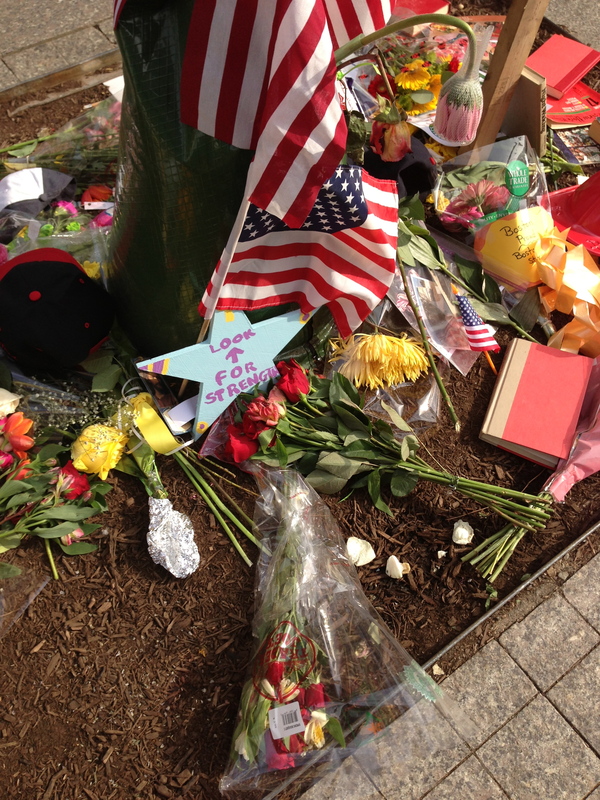 (You can actually see the red Berklee flag in the first picture). 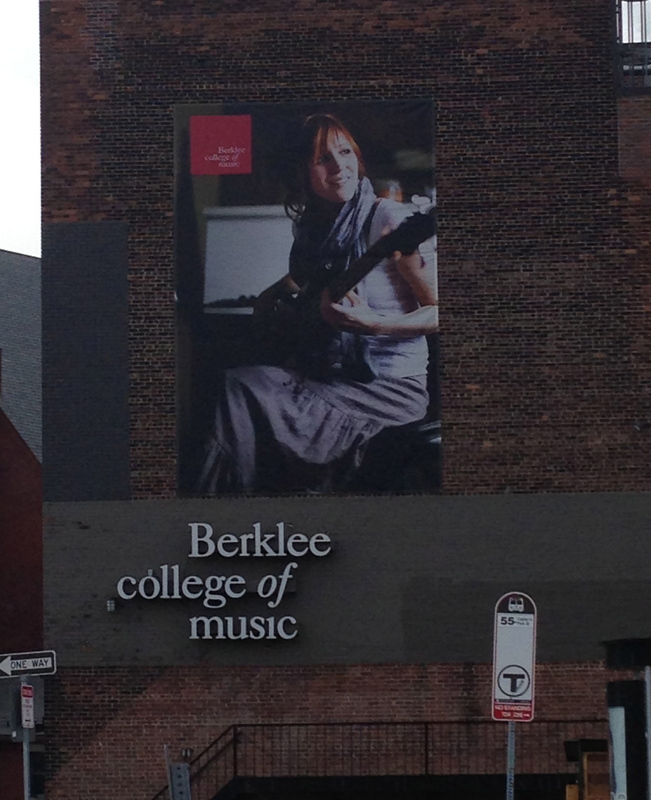 I have great associations with Berklee College of Music. First of all, I love jazz. It’s been my favorite genre of music since I was 13 years old. Also, I went to Berklee (then called Berklee School of Music) for two summer programs, when I was 15 and 16 years old. Here’s another reason I have great memories of Berklee: in my previous career (in advertising and corporate video), my business partner, Jonathan, and I had the wonderful experience (in the 1990’s) of creating the promotional video for Berklee, which was sent to prospective applicants to the school. Making that video, taping hours of incredible jazz playing by faculty and students, and interviewing the people there, who all were teaching or learning something they loved, was such a fabulous experience. 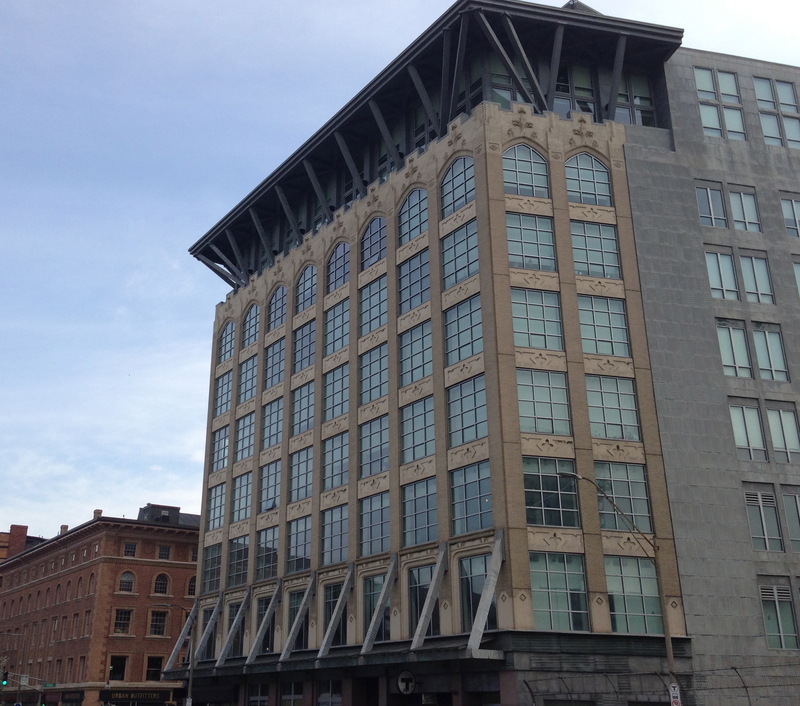 This is a very cool building, a block down Boylston Street. These are my foremost associations/memories with this building — (1) the building won a big architectural prize a while ago, (2) there used to be a Tower Records there, and (3) I got to meet my Guitar Hero, Pat Metheny, there (he was signing albums at the Tower Records) and I got to tell him how much I appreciated him. So revising my estimate — which was based on rules but is now based on reality — at this point I am about 4.5 blocks away from the finish line. It’s been a little while since I’ve walked down this stretch of Boylston (between Mass Ave and Gloucester) and I had never seen this before, so I wanted to take a picture of it. 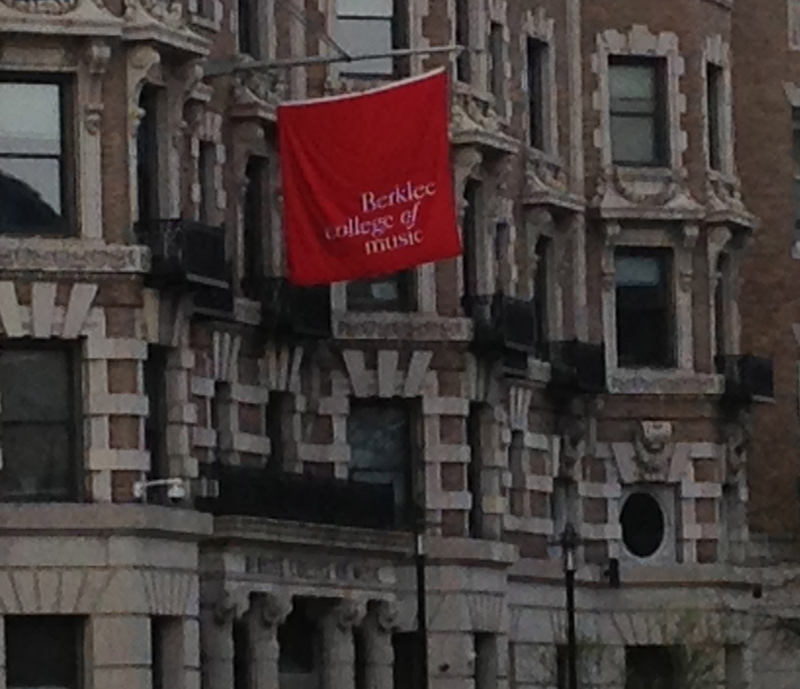 Again, I heart Berklee. I am still between Mass Ave and Gloucester. 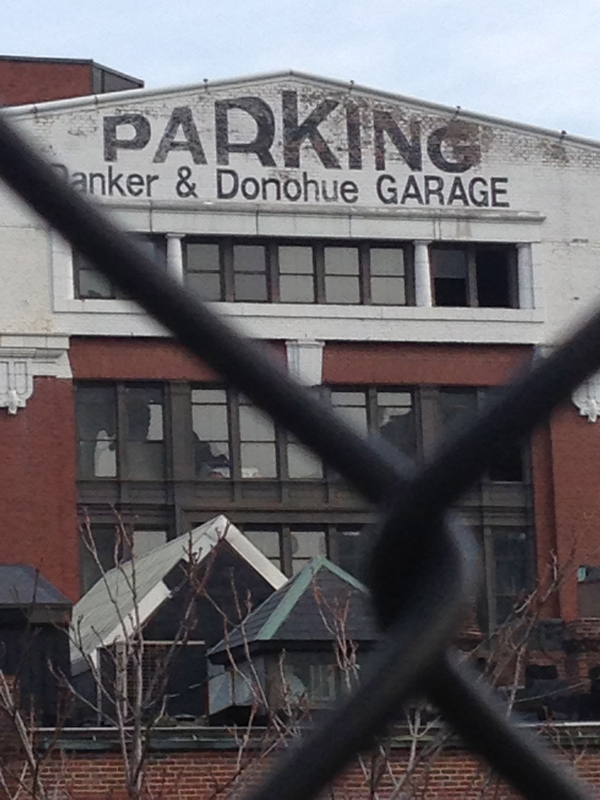 I’ve always noticed this parking garage, from when I first went to Berklee. The fence in the foreground indicates that I am crossing over the Mass Pike. I might mildly resent that this enormous fence gets in the way of my taking a better picture, but I feel protected (since I am sometimes afraid of heights and falling, and I never feel scared walking over the Mass Pike, thanks to this fence). This was my first encounter with obvious evidence of the events of April 15. I am not going to say much about these images, but just present them to you. 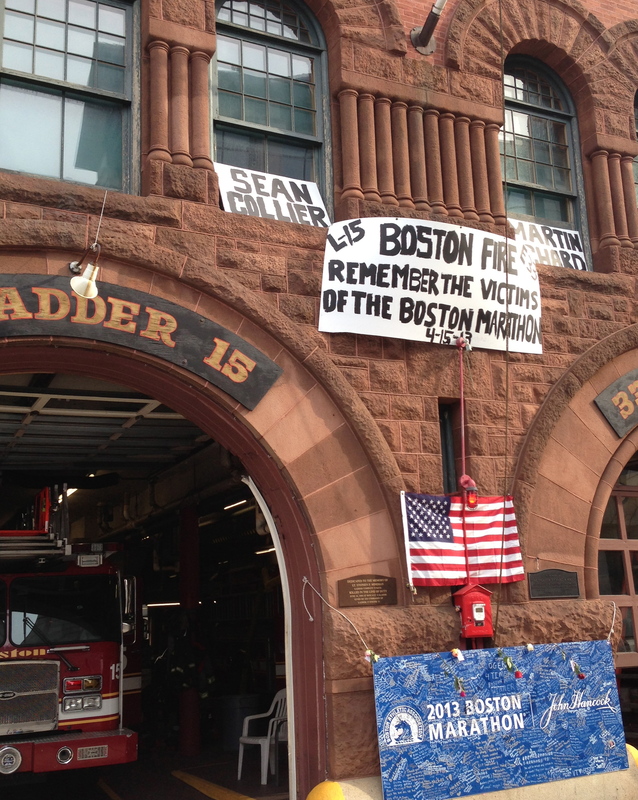 The above is the fire station on Boylston. It’s very close to the previous picture, before Gloucester Street. 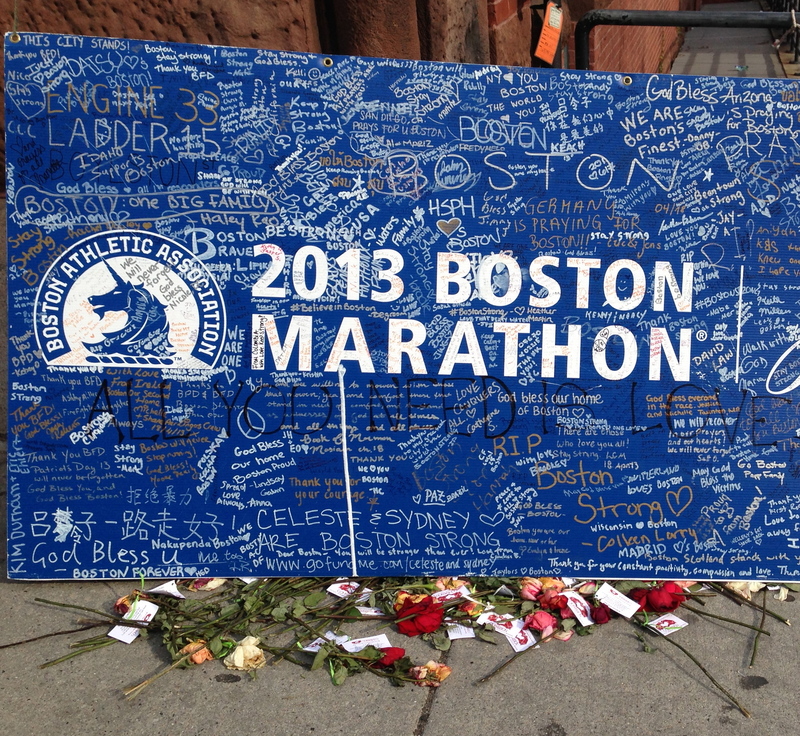 The poster in the photo above, signed by many. A close up of the poster above. 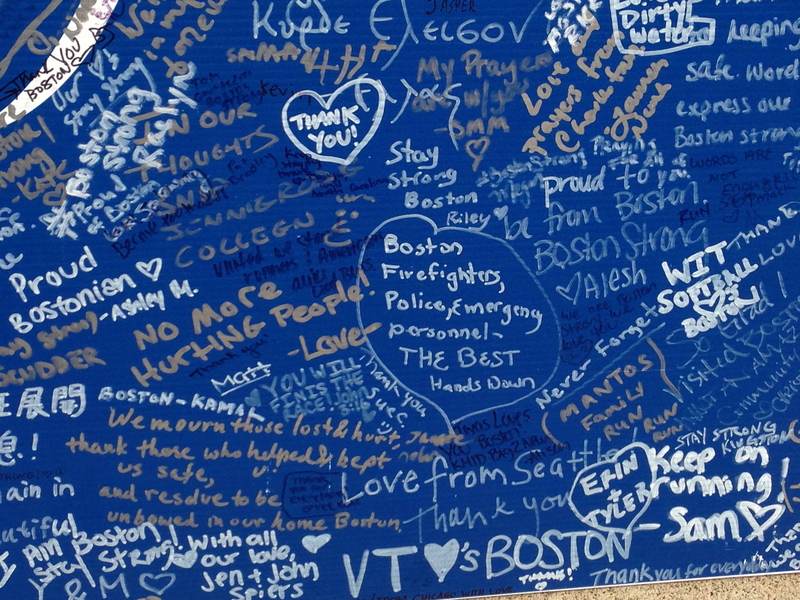 Another signed poster, in front of the fire department. 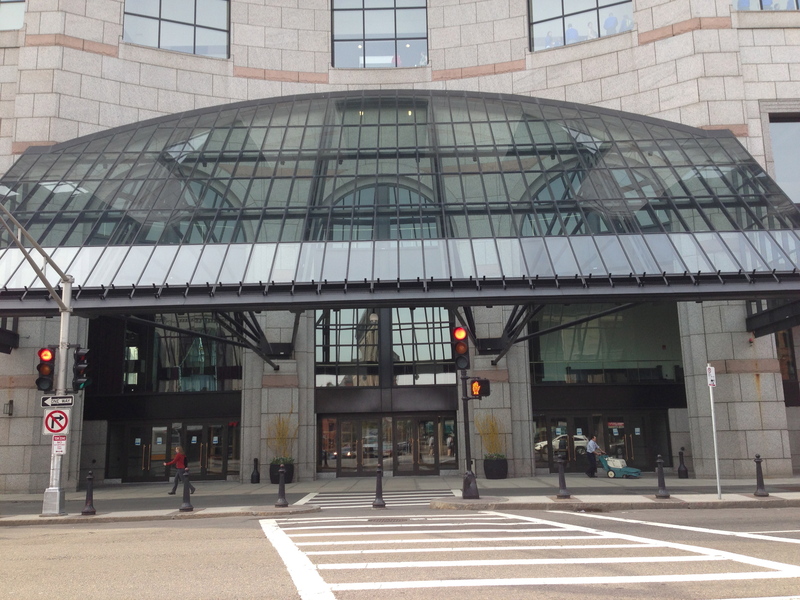 The Hynes Convention Center, on the other side of Boylston Street, right near Gloucester. 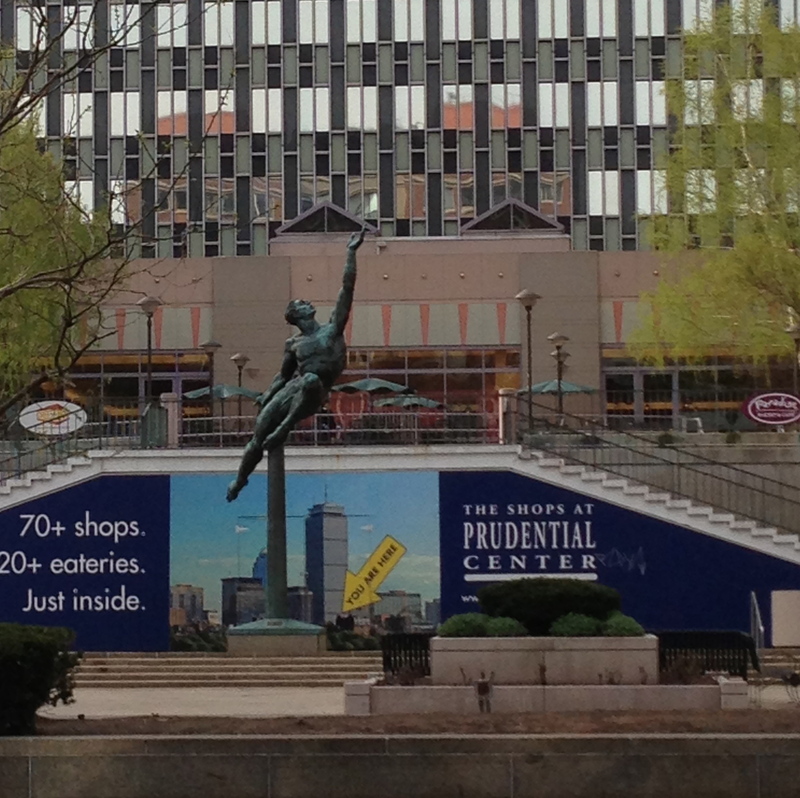 A statue that I’ve always liked, in front of the Prudential Center. 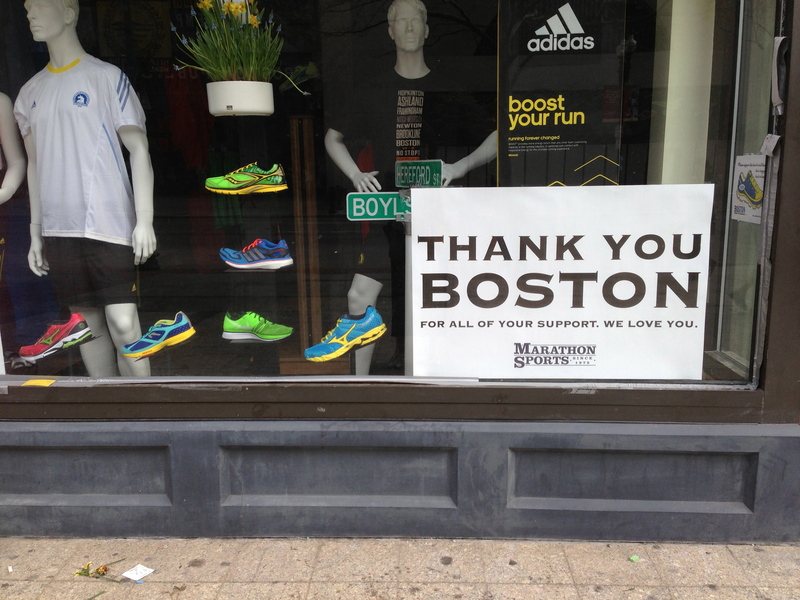 This is also on the other side of Boylston Street, between Gloucester and Fairfield. At the corner of Fairfield Street, looking down Boylston toward Dartmouth. 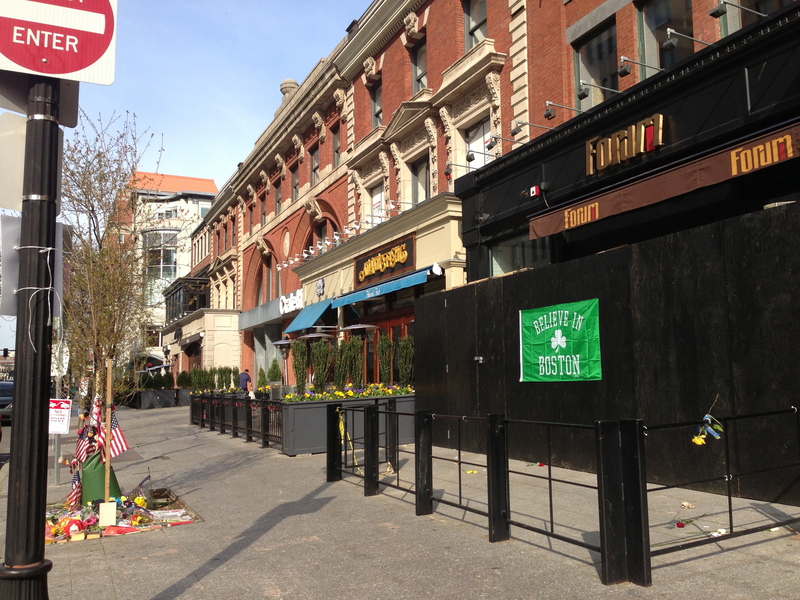 This is the side of the street where the bombings took place. 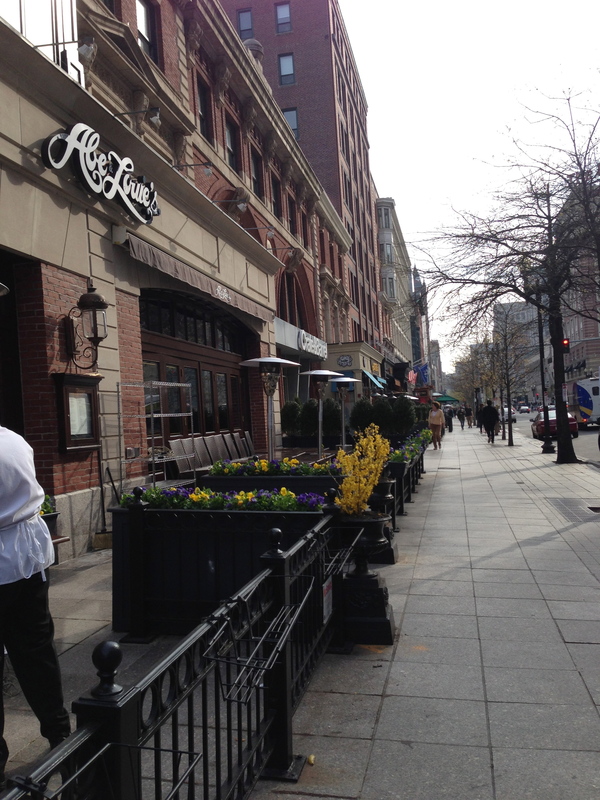 Still walking down Boylston, past Abe and Louie’s Restaurant. This is approximately where the second bomb went off, between Fairfield and Exeter. I was the only one I noticed taking pictures, and while I was taking those above, I felt a little strange. Everybody else who was walking by seemed to be there just to return to their usual routines. 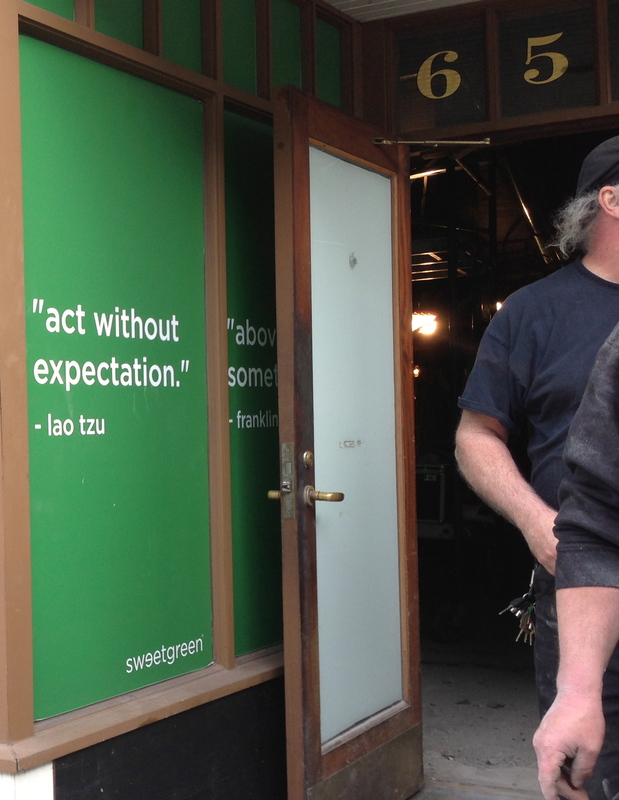 I did notice that as I was taking these pictures , though, other people joined me to stop and look for a little while. At this point, I felt pretty emotional and shaky. 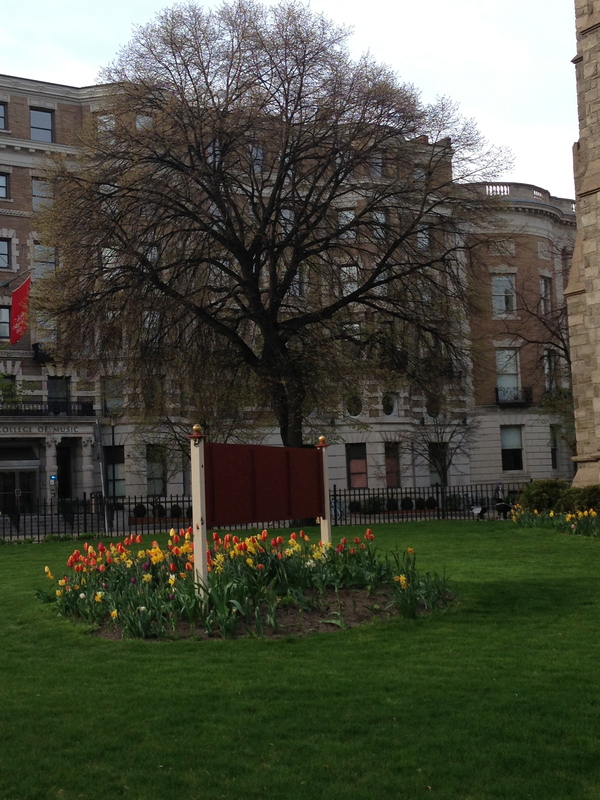 Right as I turned to walk further down Boylston, I noticed a very familiar place. This is Gabriel. I know I was distracted that morning, because I forgot to take more than one picture of him, and I forgot to ask him if he was okay with the picture I took. I don’t love this picture, personally, because I don’t think it captures how great he was. Or maybe it does. 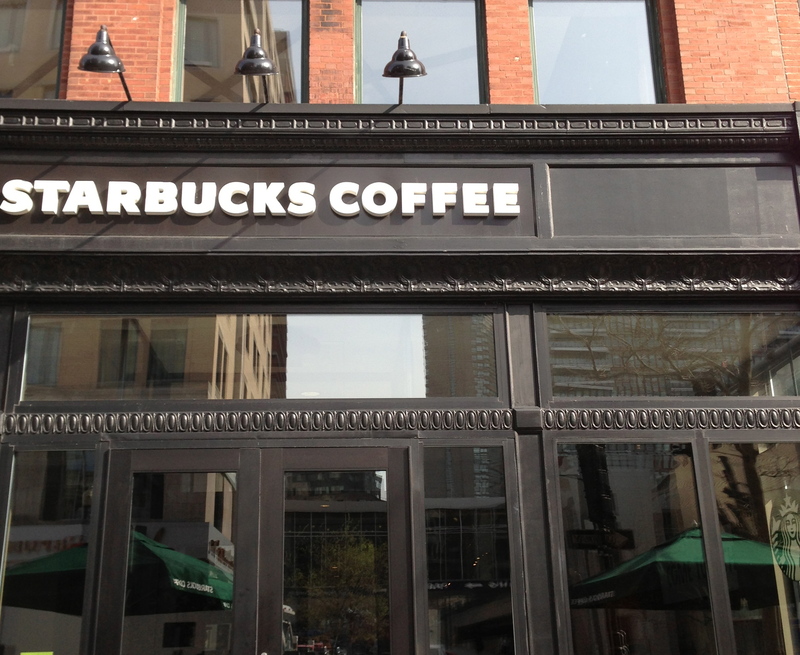 After I left Starbucks, holding my chai tea latte, I walked toward the site of the first explosion, looking across the street at the Boston Public Library. 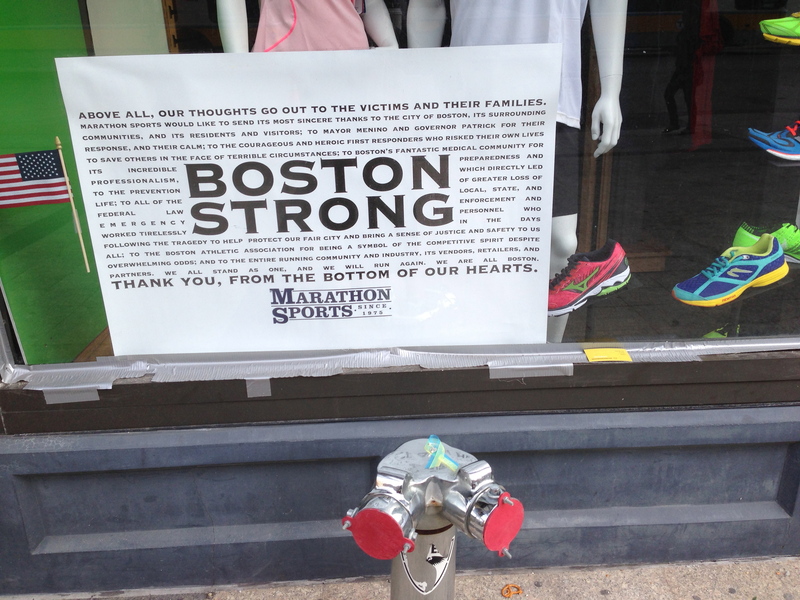 This is what I saw as I approached and walked closer to Marathon Sports, between Exeter and Dartmouth. 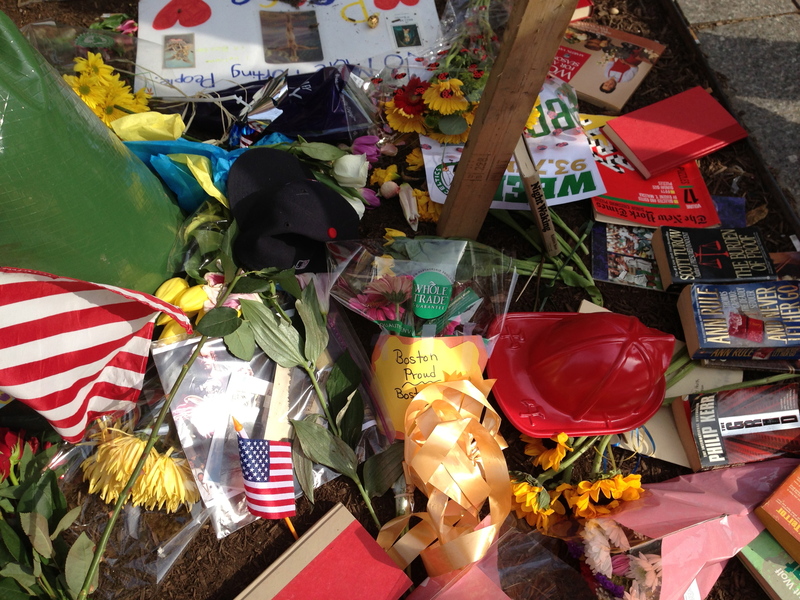 There was no marking — with flowers, messages, or items — at the site of the first bombing. I stood here for a little while, taking the pictures above. 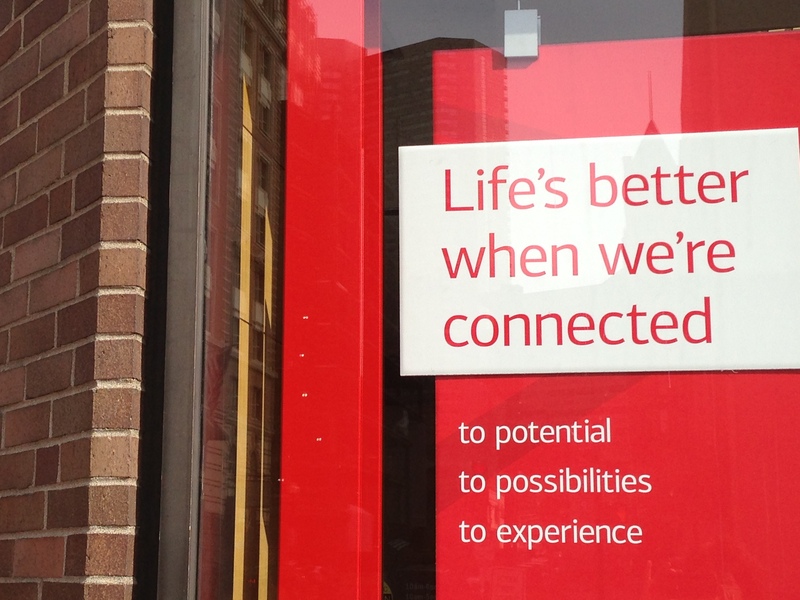 Then I moved to the next store front, closer to the finish line. I walked away, crying a little, hearing the echo of those spoken words. This was the next thing I noticed. This was across the street, as I headed back from where I had started. 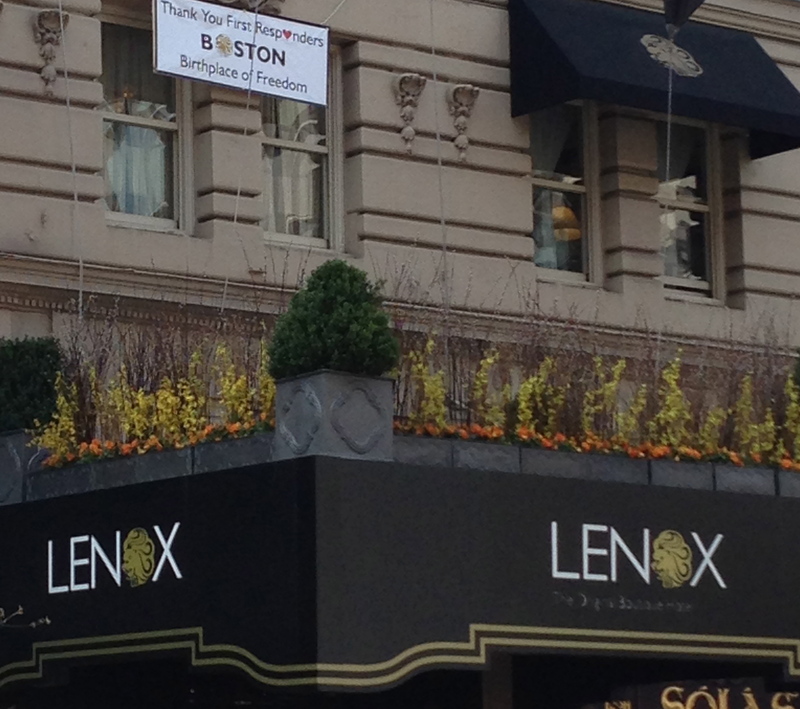 I thought those plants on top of the Lenox Hotel marquis were so beautiful, below that sign thanking the first responders (with the little heart of love). Walking back up the street, re-approaching the site of the second bomb. It was such a beautiful morning. 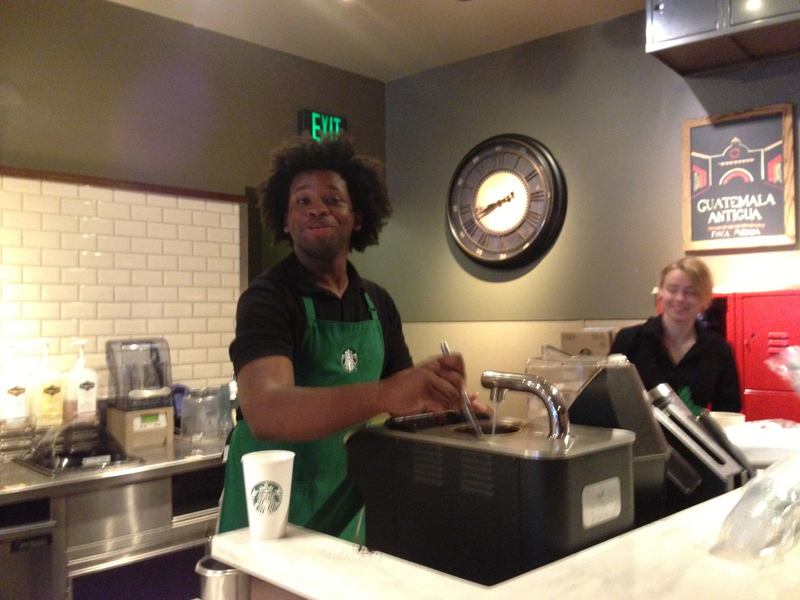 At some point I realized that Gabriel, from Starbucks, was walking in front of me, wearing ear phones. I caught up with him and we talked a little as we walked a short distance together. He was, again, warm and friendly. He told me where he was from, which was not from this area. He told me he really liked it in Boston. We spoke a little bit about the recent events and I expressed my sadness. Gabriel acknowledged how sad things were, and also spoke to how things were already starting to seem better. I felt that, too. 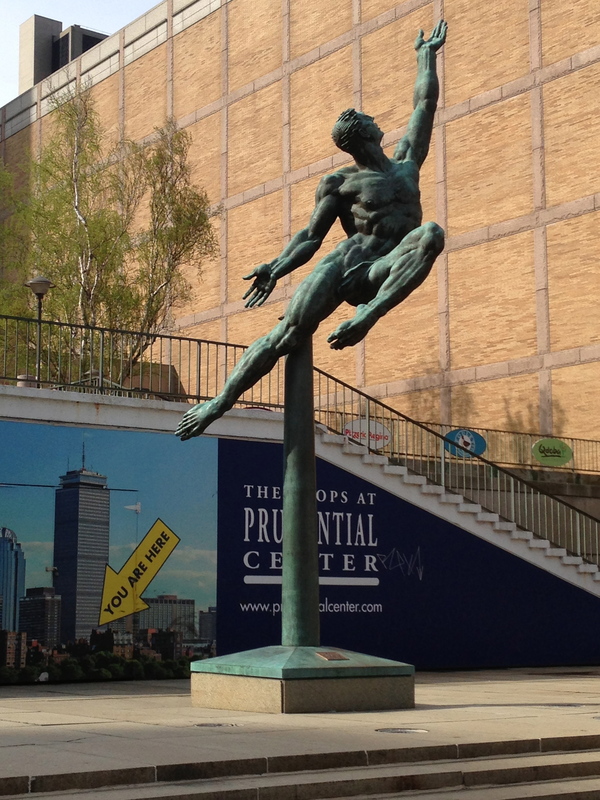 Another view of that statue I like in front of the Prudential. 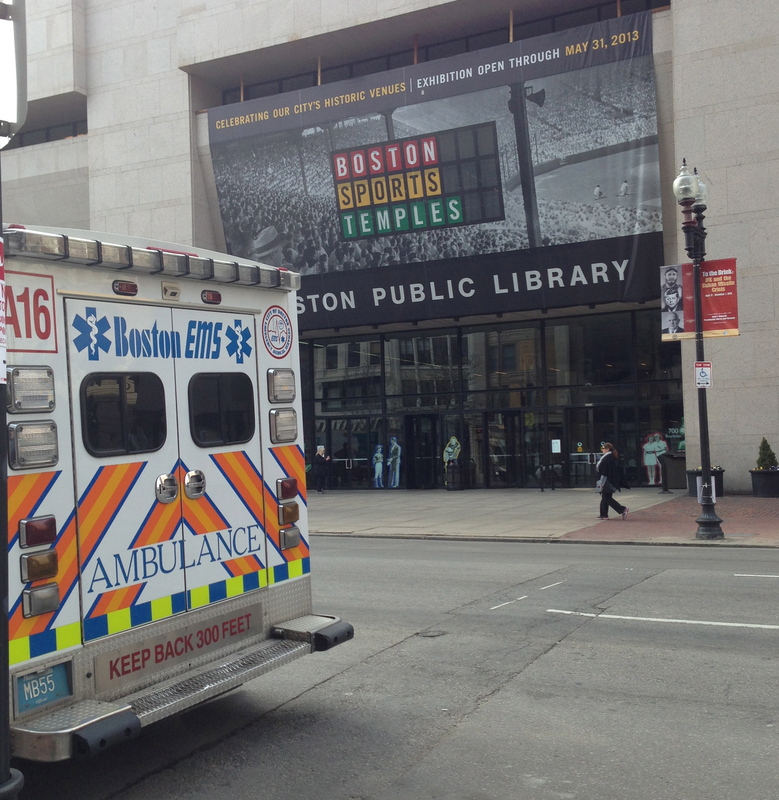 Looking back up Boylston, in front of the convention center. 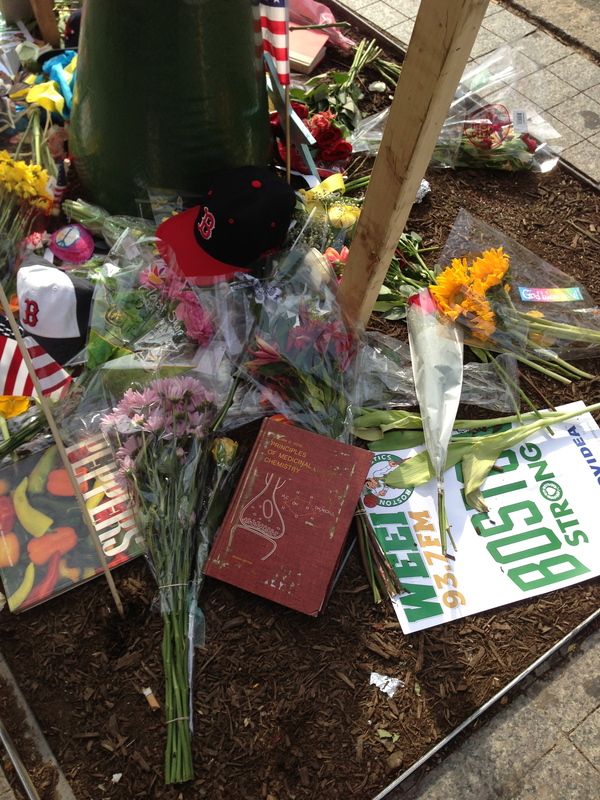 As I reached the corner of Mass Ave. I saw Eugene. We spoke a little. 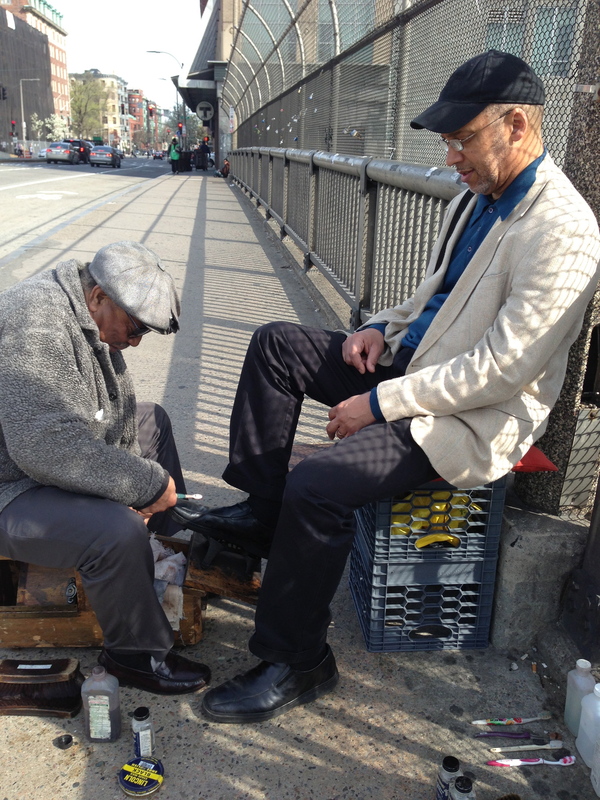 He told me that he has been shining shoes for 30 years. 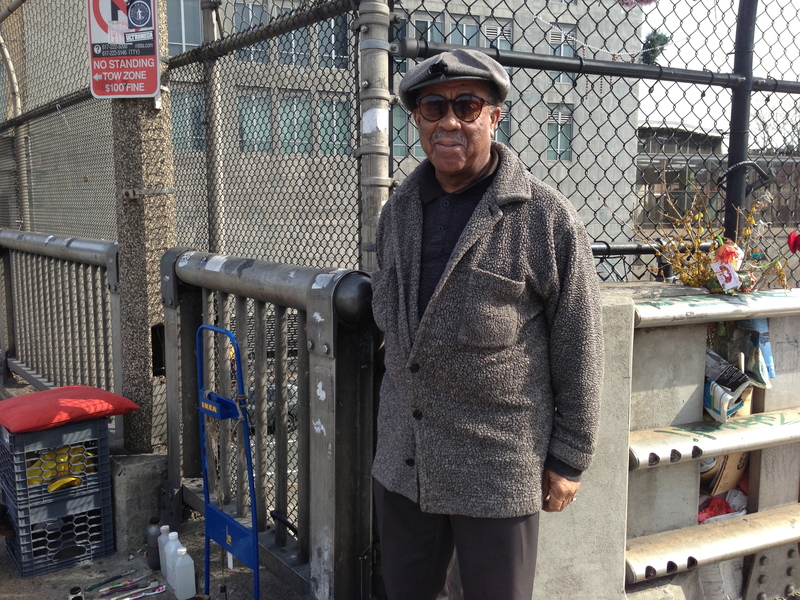 I asked how he was and he said, “Up and down, up and down, but for the most part, it works out.” As Eugene and I were talking, he recognized a customer, who sat down to get his shoes shined. The customer was Eric. Eric told me he is a faithful, regular customer of Eugene’s. Eric is the Chair of Jazz Composition at Berklee. I told Eric that I had many fond memories of Berklee. I’ll end this photo essay with more of the familiar. 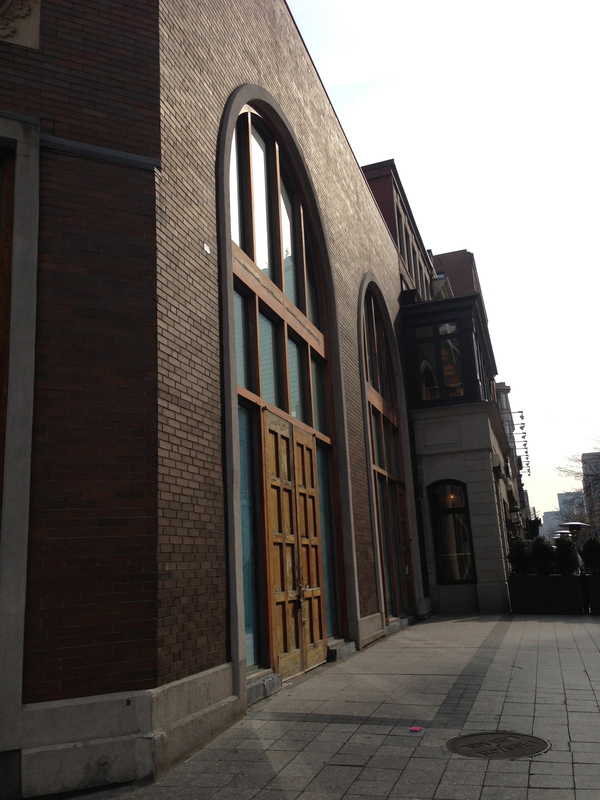 I stopped by Fenway Studios, on Ipswich Street, as I walked to work, to visit with Paul Nagano for a few minutes. Paul is an old friend and a wonderful artist. 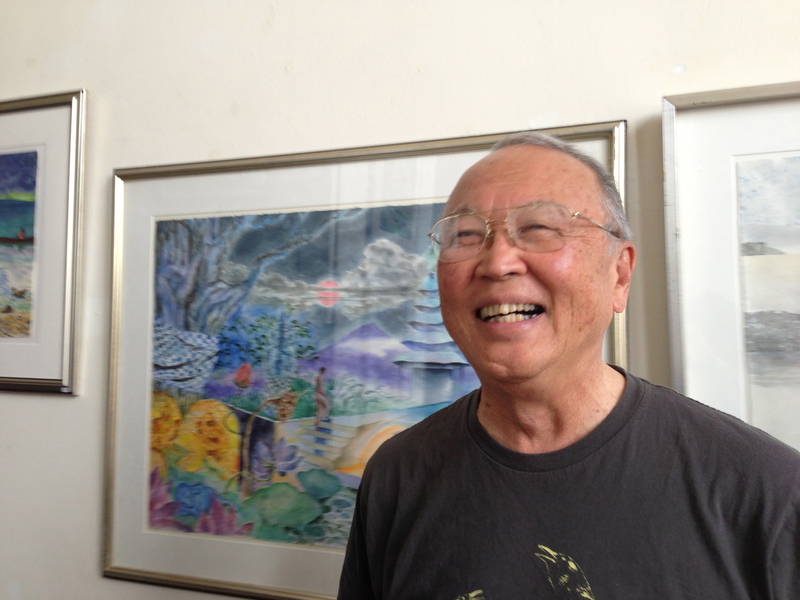 This is Paul, standing in front of one of his wonderful watercolors. I was so glad I got to see him that day. Thanks to every person who appeared in this post, in one way or another. And thanks to you, for reading. These days, lots of things have been making me cry. I’m definitely a person who cries and laughs a lot, perhaps more than the “average person” (whoever that is). And, during 2013 (which I’ve designated as a year where I work on the process of letting go of judgment), I’ve been crying more than my own personal average (whatever that is). There are lots of reasons why I’ve been crying more this year. 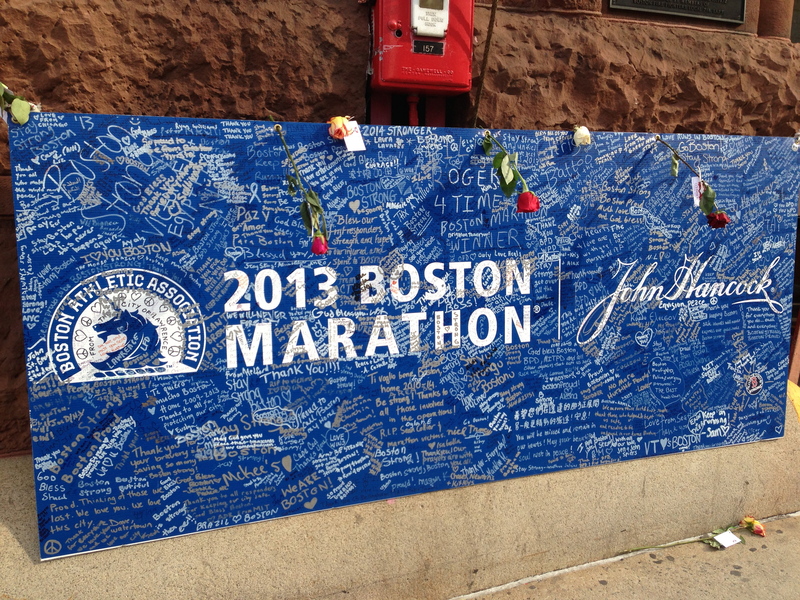 Since Monday and the Boston Marathon, I’ve got more reasons. I feel like I’m learning a lot this year. Some of these lessons are wonderful and hope-inspiring. Some of these lessons are terrible and painful. I think I’m learning more this year — partly because I’m paying more attention. I’m paying more attention because I’m doing work I’m passionate about (group and individual therapy at a major Boston hospital), where listening and watching are really important. I’m also doing these blog posts, once a day, and that process is causing me to pay more attention — within myself and outside, in the world. So I’ve been paying more attention to things, some of which are more inherently painful. So it makes sense — doesn’t it? — that I’ve been crying more. Kindess can make me cry, even harder than cruelty does. I noticed that, last week, when some of my co-workers were incredibly kind and supportive to me, as I was struggling personally. 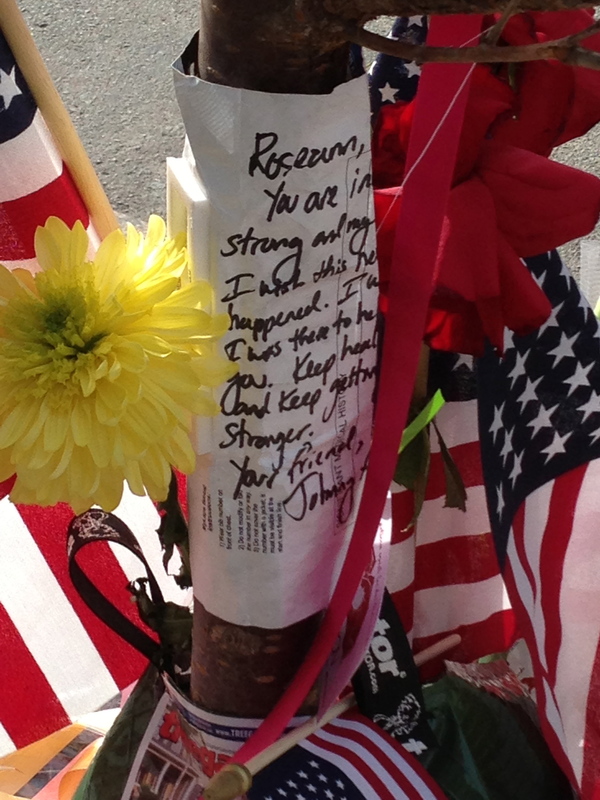 I noticed that this morning, right before I wrote this post, when I read this portion of an on-line article about people’s kindness to others in the aftermath of the Boston bombings. In Michigan, Hamilton Elementary School students created a “finish line” by standing on either side of the hallway so their principal could finish the marathon interrupted by the cruel blasts. “We felt bad that she couldn’t finish the 26.2 miles. So, we decided that we would help her finish,” fourth-grader Ryan Smalley told CNN affiliate WDIV. The students cheered for Principal Pam Mathers as she dashed to the finish line, high-fiving the students along the way. 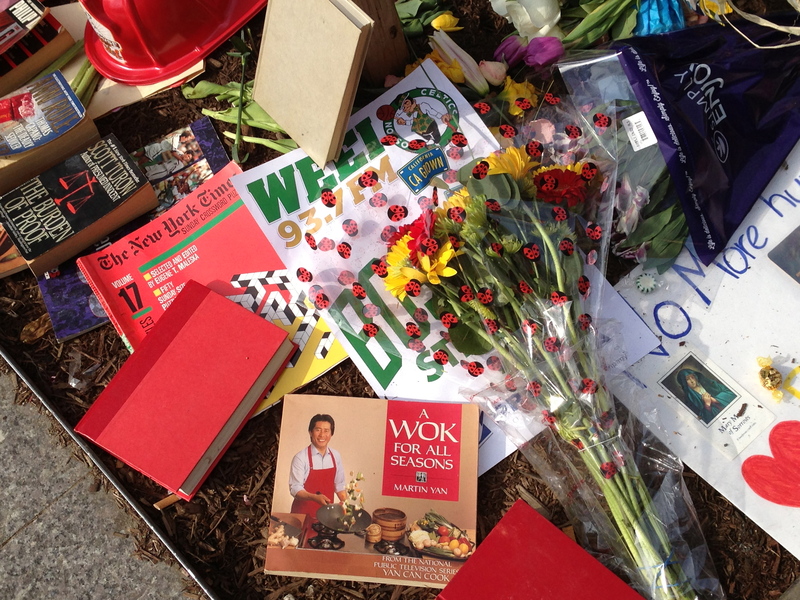 Some teachers watched, tearfully. I see that in other people, too — that kindness can make them cry, even harder. I see that in group work, when somebody receives authentic, kind, and encouraging words from other people in the group. Sometimes that person cries, pretty intensely. How do I make meaning of that, right now? Perhaps kindness can make us cry harder out of …. relief. Being surprised by kindness when we’re so aware of cruelty. Perhaps kindness can make us cry harder out of …. grief. Being opened up to old losses in a new way. Not sure I can figure it all out this morning. But I wanted to share it, with you.